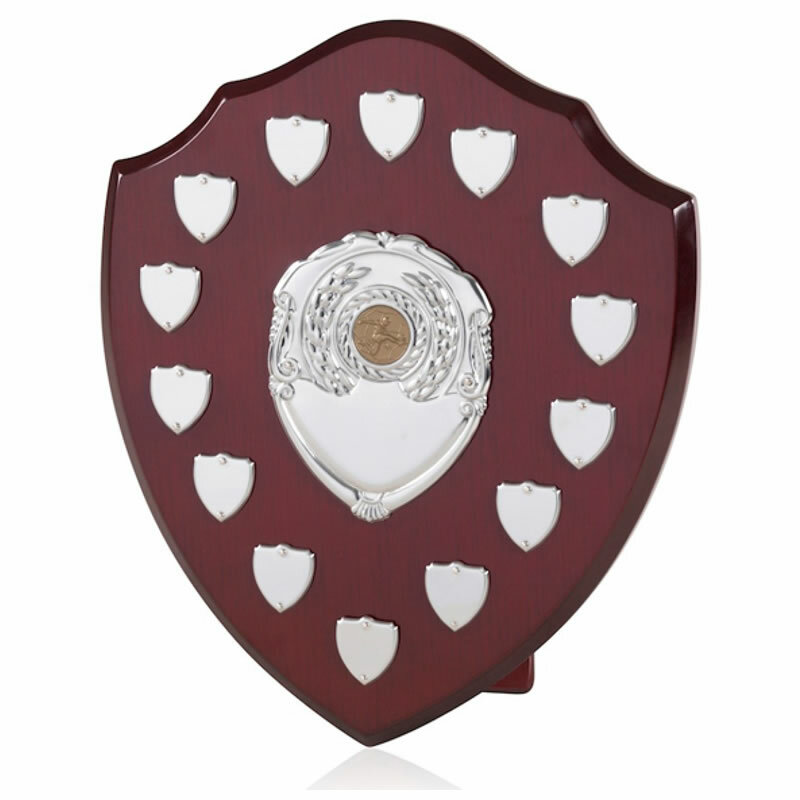 These classic wood plaques feature 14 side shields - perfect for creating perpetual awards. The dark wood shield is 12in tall and can be customised for specific sports by adding an optional 1in bronze centre. They are supplied with struts and are offered with low, fixed-cost text engraving and/or free logo engraving of the centre plaque.